Her Name Is Sylvia: KEEPING IT CASUAL. 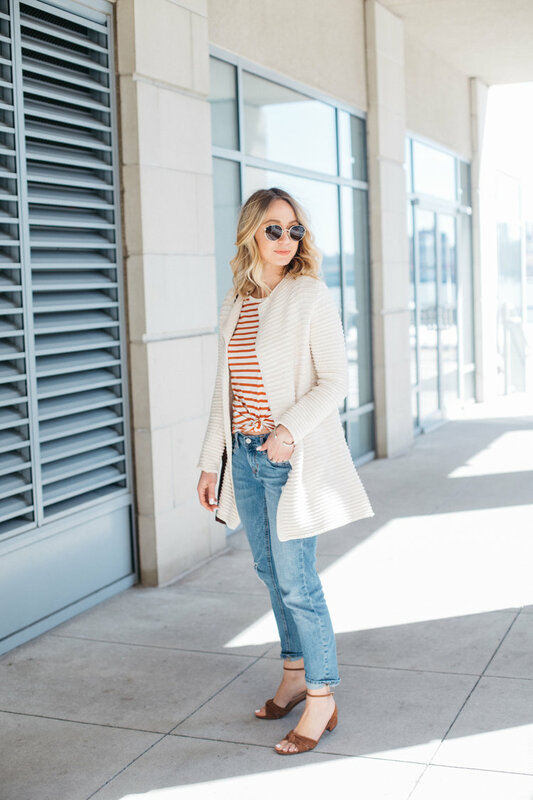 Distressed denim and a knit tee has to be my go to everyday look! If you don't know I have a two year old so most of my day is spent chasing him around or hitting the parks, so I love to keep it casual on a day to day basis. The best part about keeping it casual is that you can add some fun elements to a simple look to make it stand out. I can't get enough of these knotted low heel sandals I knew when I had purchased them that they would be the pair of shoes I would wear a lot this season. This shoe is so versatile it works with a casual look or you can throw them on with a pretty maxi for a sunday brunch. And as for these sunnies, I just can't get enough of them, best $55 I've ever spent! Hands down one of my favorite looks of yours!!! It's so causal but SO chic! Dying over those perfect little shoes and could you look any more gorgeous? !